The next morning brought heat, humidity and still more lingering rain. Lubbock was not a city that I particularly liked from what I could see. 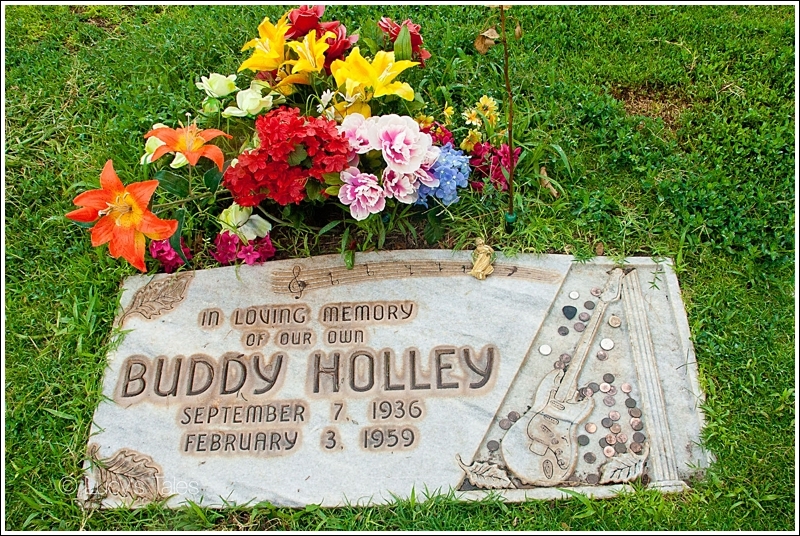 The only site that my mom really wanted us to visit was Buddy Holly’s grave. We stopped for gas where everyone stared and pointed at me. Really? Have they never seen a dog?! After 2 wrongs turns (thanks to the GPS “lady”) we finally found the cemetery (the first of many on our trip). It was a relatively plain cemetery but clean and spacious. It was still drizzling rain when mom found the grave. Oh, and have I mentioned that I do not like the rain?… I did not particularly cooperate when mom got me out of the truck. First, I did not want to be out in the rain and two, I did not want to be in a cemetery. With umbrella in hand, mom and I walked to the grave. What do you do at a grave exactly? Mom whipped out her iPhone to take a couple of shots then I reluctantly (picture me with front paws dug in ground and my body strongly attempting to go backwards) posed for my pic at the gravesite. 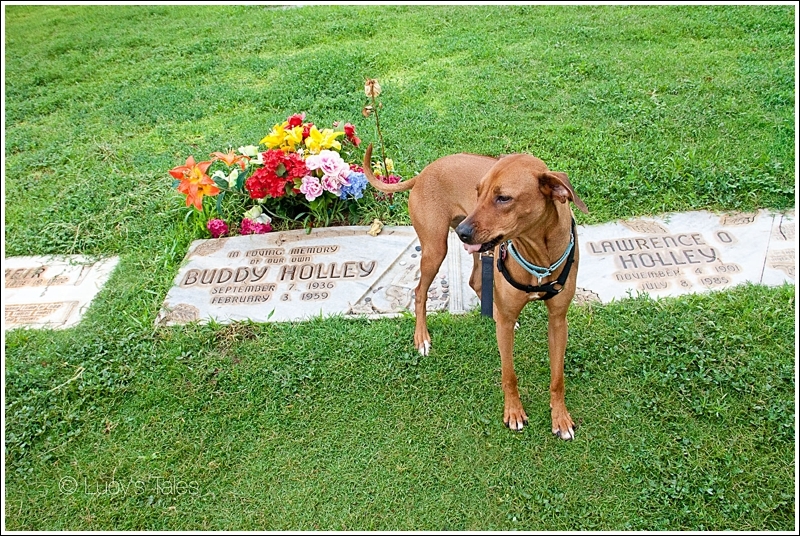 As if that was not enough, now she wanted a pic of both of us in front of grave (the first on MANY pics of us together in front of lots of crazy things!) but I did not want to cooperate. So she gave in to me (with rain on my side) and we left heading for the New Mexico border and our next adventure. His music (although) brief influenced The Beatles, The Rolling Stones, Bob Dylan, and Eric Clapton to name a few.